Promoting workforce wellness never tasted so good. For heart-healthy living, it turns out a great dietary option for many dates back centuries. 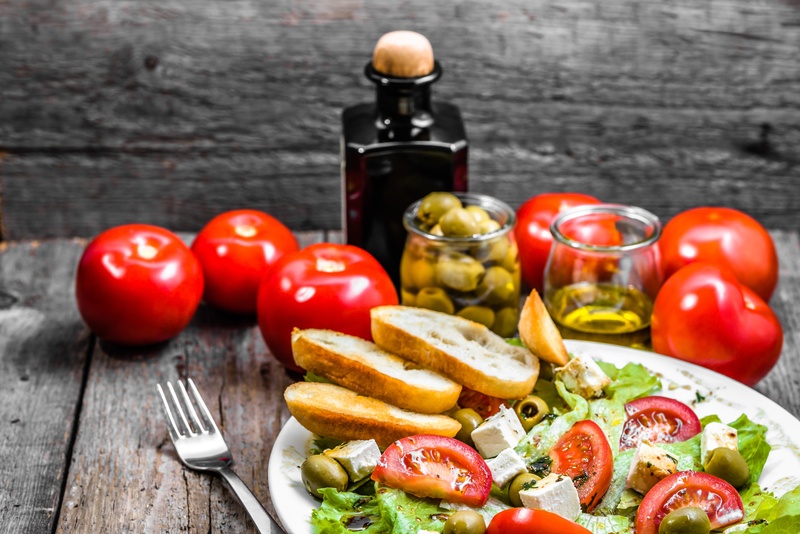 Based on the traditional cuisine of communities along the coasts of Italy and Greece, the Mediterranean diet is gaining increasing popularity among nutrition experts in this hemisphere. In the ‘50s, researchers noticed the poor villagers along the Mediterranean coasts tended to live longer than the wealthiest New Yorkers. Further study revealed that, in addition to their vigorous lifestyle, a big contributor to their longevity was their cuisine of basic ingredients, rich in local produce, fish harvested daily from the bountiful ocean waters and a splash or two of red wine from neighboring vineyards. According to the Mayo Clinic, research involving more than 1.5 million healthy adults following a Mediterranean diet showed a strong association with reduced risk of heart disease, far and away this country’s leading killer. It’s much lower in fat and complex carbohydrates than typical North American fare. As a result, this diet promotes lower levels of “bad” LDL cholesterol, which can build up on artery walls and eventually cause total blockage. The Mediterranean diet is also associated with reduced risk of a range of other afflictions, including cancer. Women who eat a Mediterranean diet supplemented with extra-virgin olive oil and mixed nuts may reduce their risk of breast cancer. It also fights cognitive diseases such as Parkinson's and Alzheimer’s. Some studies have shown that the diet even enhances one’s memory and ability to focus.